Since the catastrophic 2010 earthquake in Haiti, the U.S. government has granted 58,000 Haitians the opportunity to live and work in the U.S. under the Temporary Protected Status (TPS). This could be terminated by next month. U.S. lawmakers from both parties, immigration advocates and church leaders urge the current administration to extend TPS for 18 months to allow Haitian TPS-holders to continue to live and work in the U.S. 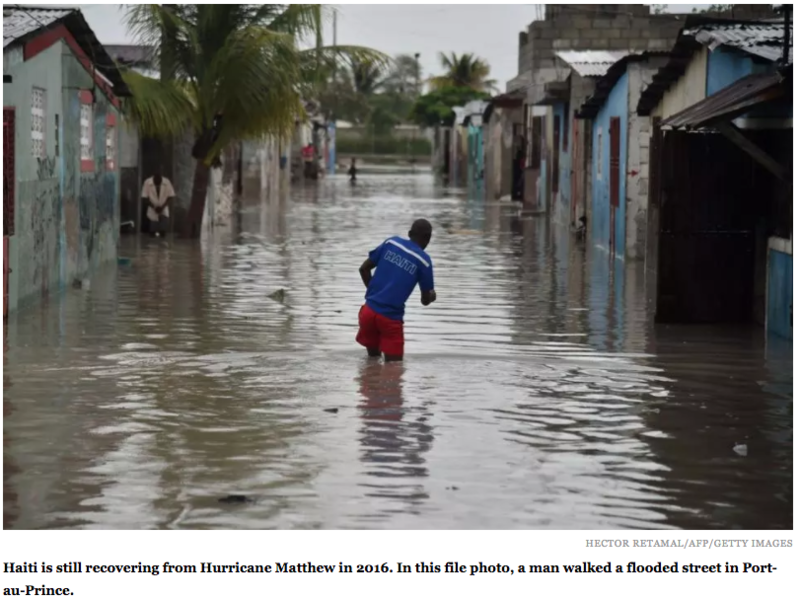 The country has been struggling to recover from several natural disasters, including the 2010 earthquake, an uncontrolled cholera epidemic and last year’s Hurricane Matthew that flattened the southern part of the country. Haiti is in no position to absorb and care for 58,000 Haitians. Could the Trump administration, fresh from its disgraceful decision to revoke the program that kept young immigrants in the country, get any crueler in its immigration policies? The country is about to find out. The administration is getting ready to issue a determination on the fate of Haitians and some Central Americans who hold temporary protected status, which expires in January. TPS, as the federal relief program is known, is granted to citizens of certain countries battling deteriorating conditions caused by natural disasters, health epidemics, or armed conflicts. The program confers work permits and protection from deportation to its beneficiaries, a total of 435,000 foreign nationals from 10 countries, including 260,000 from El Salvador, 59,000 from Haiti, and 86,000 from Honduras.